Austria is on a roll. In 2009, as the world economy tumbled into the abyss, her wine exports reported a healthy increase of 16%, achieved at a time when all other Austrian exports declined by 20%. Leading the charge were traditional markets such as Germany and Switzerland, while relative newcomers like the Netherlands, Sweden and Japan all posted healthy increases. Japan is perhaps most noteworthy here, for the precisely flavoured Austrian white wines match seamlessly with the equally precise flavours to be found in her cuisine. Sadly missing from the buoyant export figures is Ireland, whose wine drinkers remain stubbornly resistant to the charms of Austrian wine. Left, hardy Austrian vines, right, VieVinum. It is not for want of trying on the part of the Austrian Wine Marketing Board. For as long as this magazine has existed they have courted the Irish market yet, apart from occasional blips of interest, there has been no sustained growth in Austrian wine sales. Their methods can hardly be faulted and are sound rather than suave, based on solid facts and figures and not vacuous waffle or vague assertions of quality. Nor can the standard of the wines be faulted, most are impeccably well made and the industry in general is one of the most tightly controlled and strictly regulated in the world. Their success in other markets suggests that the fault lies elsewhere. Price could be cited as an issue, but perhaps it is the case that the Irish consumer, having adventurously abandoned the old world for the new some 20 years ago, is now stuck in another rut and is unwilling to step outside the Sauvignon-Chardonnay-Cabernet-Shiraz comfort zone. If they did they would find the likes of Grüner Veltliner, Zweigelt and Blaufränkisch, a trio that can be quirky at times but which, in the right hands, yield wines of distinct character. That international quartet all lay claim to a small place in the Austrian vineyards, particularly Chardonnay and Sauvignon Blanc, though it is with Riesling that Austria can justly claim to make wines of outstanding quality. In many respects Riesling straddles the divide between the quirky, regional grapes and those that span the globe, the ones that are planted just about anywhere that wine is made. Almost alone amongst grapes it has the ability to retain its singular, acid-driven character wherever it is planted, while at the same time picking up signature nuances of flavour and style from each region. Austrian Riesling reaches its apogee in the Wachau Valley, about 100 kilometres upriver from Vienna on the Danube. The Austrian winelands form a crescent shape around the eastern border of the country, a bit like a horseshoe laid on its side, with Wachau sitting at the northern tip. In terms of sheer spectacle it deserves to be ranked alongside Portugal’s Douro and Germany’s Mosel. Huge commercial barges and equally vast cruise boats ply the river while vines climb the terraced slopes, nearly all of them planted on the northern bank to catch the favourable sunshine. Riesling is generally full-bodied here, a mouthfilling amalgam of ripe fruit and firm minerality. 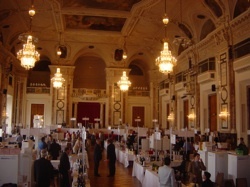 Production is small-scale and individuals, such as Prager, Hirtzberger and FX Pichler, are amongst the most highly regarded winemakers in Austria. It is not just individuals who make top-quality wine here either. The co-operative, Domäne Wachau, is now right back on song after a few wobbly years around the turn of the century. The wines are exciting and vividly flavoured once more and the dullness that plagued them for a while has been firmly banished. In short they are back to the sort of quality they exhibited years ago and which was reported on in the February/March 1998 issue of Food & Wine. Back then Willi Klinger, who is now the dynamic boss of the Wine Marketing Board, showed me around, “… at breakneck speed dispensing anecdotes and technical information with equal facility.” In those days the Domäne was known as Freie Weingärtner Wachau and as such it established a firm toe-hold in the Irish market which it has retained to this day, being one of the few Austrian producers with a regular following. Whatever about the quality of her Rieslings it is with her very own Grüner Veltliner grape (see below) that Austria hopes to conquer the world. 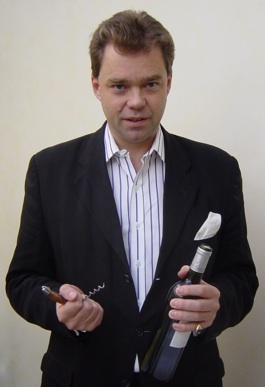 In the vanguard of this campaign is Lenz Moser V, a man whose name will ring familiar to any fans of Austrian wine. His family can trace its origins back to 1124, though it is only since 1635 that clearly documented records exist charting the family’s involvement in the wine business. Over such a long time history can be cruel and kind but it has bred in Moser a determination to succeed at the commendably focused path he has set for himself. Alone amongst Austrian wine producers he has staked his reputation on Grüner and all his wines are made from that grape, no others feature in the portfolio. They go by names such as: ‘Sunny’, ‘Singing’, ‘Friendly’ and ‘Charming’ and, notwithstanding this rather twee collection of names, this is a group of wines of real quality and immediate appeal. Indeed, once you have tasted them, it appears that the names quite aptly capture the wines’ exuberant freshness and easy drinkability. ‘Easy’ in this case should not be confused with bland and forgettable. Moser has cleverly reined in Grüner Veltliner’s signature spiciness and emphasised the fruit instead without, crucially, obliterating its distinct character. There is still a nice whisper of something sterner, a twist in the flavour to keep your interest and let you know that you are drinking something a bit different. That is the essence of Austrian wine – a different take on a familiar theme. Her whites lead the charge for worldwide recognition and are already well established in numerous markets. Her reds are now more polished and less rustic than heretofore and deserve greater recognition. And, finally, there are the glorious sweet wines that come from the vineyards clustered around the Neusiedlersee in Burgenland on the Hungarian border. Ausbruch wines from the town of Rust were once among the most sought-after nectars in Europe and now, thanks to the efforts of Alois Kracher in Illmitz and others like him, Austria’s golden treasures are winning new fans. The best are splendidly intense, vividly flavoured and produced in tiny quantities. They should not be ignored. 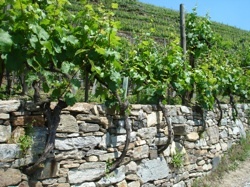 Grüner Veltliner (aka Gee-Vee or Gru-Vee) is Austria’s very own grape variety and is hardly cultivated anywhere else in the world except for some areas of eastern Europe. Turning out a good one is something of a high-wire act, for the seemingly incompatible forces of ripe fruit and a distinct vegetal minerality, or spiciness, have to be coaxed into harmony. They are not easy bedfellows and sometimes they sit apart like oil and water. 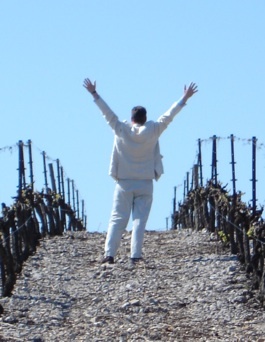 Many winemakers settle for allowing one or other into the ascendant but it is when they merge seamlessly that the results are really impressive and, perhaps most important, capable of ageing magnificently. At its best Grüner can rub shoulders with the great white wines of the world, as evidenced by a Domäne Wachau, Rossatzer Cuvée, Smaragd 1990 sampled at the Domäne. This was glorious stuff: rich, elegant, balanced… in short, a delight. Austrians tend to drink wines very young, leaving nothing for the cellar. They need to be encouraged to salt away more wines like this for future drinking pleasure. Vienna is an imperial city (though the empire was mislaid after the first world war) and is well worth visiting. The central area is very pedestrian friendly but be warned that you can spend money there just as quickly as in our own capital. Restaurants abound, with the hearty and traditional sitting easily beside the chic and modern. Stock up on coffee and other treats such as pumpkin seed oil at Meinl am Graben, enjoy the bustle of the Demel coffee shop, visit the Hofburg Palace, take in a concert at the Musikverein… Or simply wander the streets, marvelling at the gold-leafed grandeur of the place. After all this exertion revive yourself with a drink at the diminutive American Bar, designed by Adolf Loos. It is just a couple of steps off the pedestrianised shopping heaven of Kärntner Strasse. Article originally published in Food & Wine Magazine, October 2010.